Hi! It’s Jennie here from The Diary of a Real Housewife. Today I wanted to share with you one of my favorites. 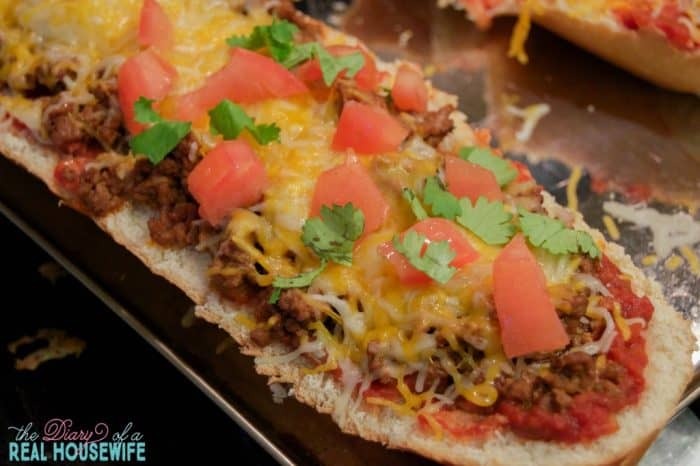 Simple and easy Taco French Bread Pizza. We love having family pizza night. 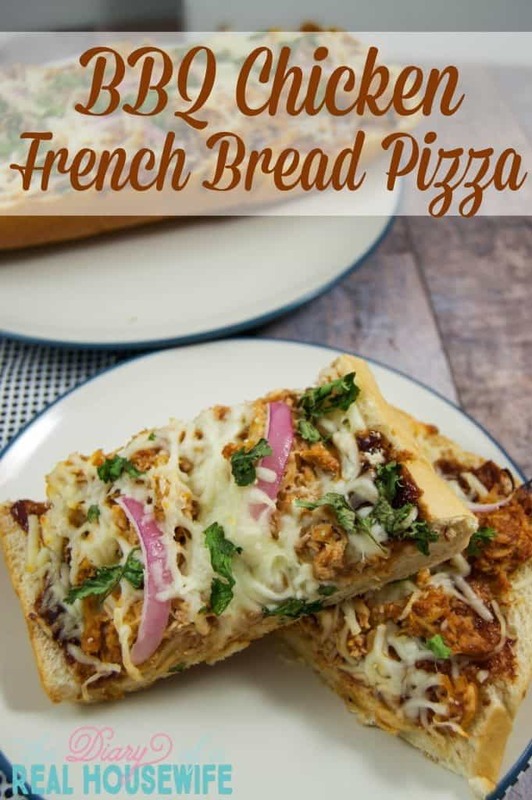 I love French bread pizza because I don’t have to make the dough. Grab a loaf, top it, bake it for just a few minutes. Sunday night has become our weekly pizza night. Now that the weather is warm we all play outside until we see the pizza man pull up! My boys will still ask for pizza every other night of the week, or cheese bread as they call it. I’ve really enjoyed this fun family tradition, but time to time we need a little something different. 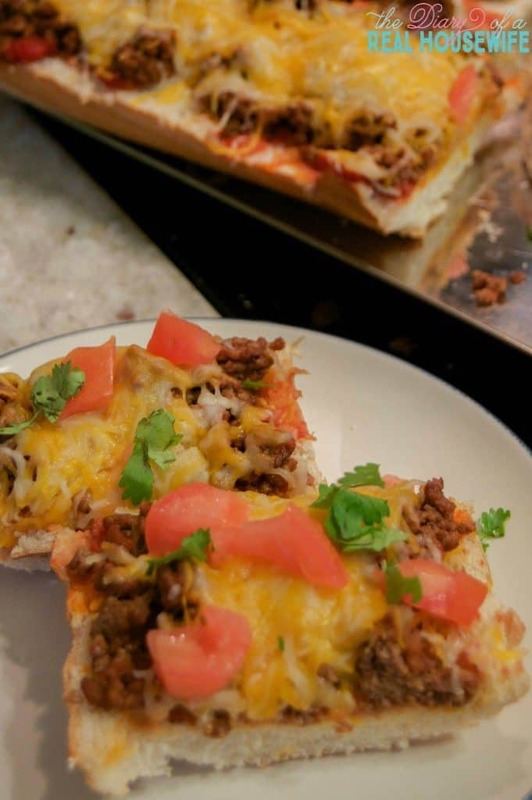 Last Sunday we tried a little something different for our pizza night, and made this taco French bread pizza. All you need to do is cut the loaf of French bread in half. 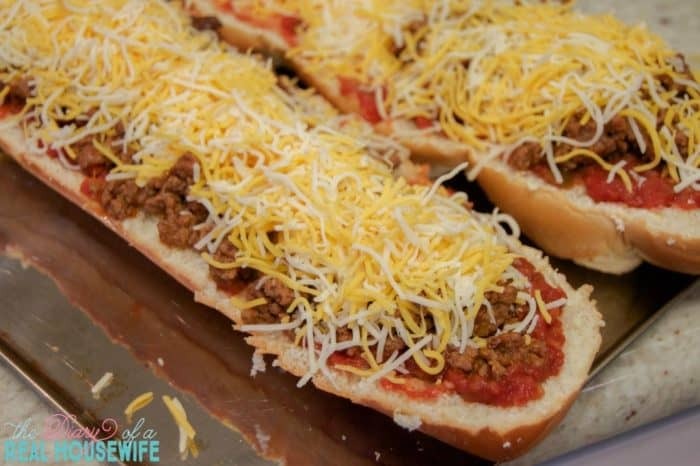 Top it with salsa, cooked ground beef that has been seasoned with taco seasonings and then shredded cheese. Easy as can be right? 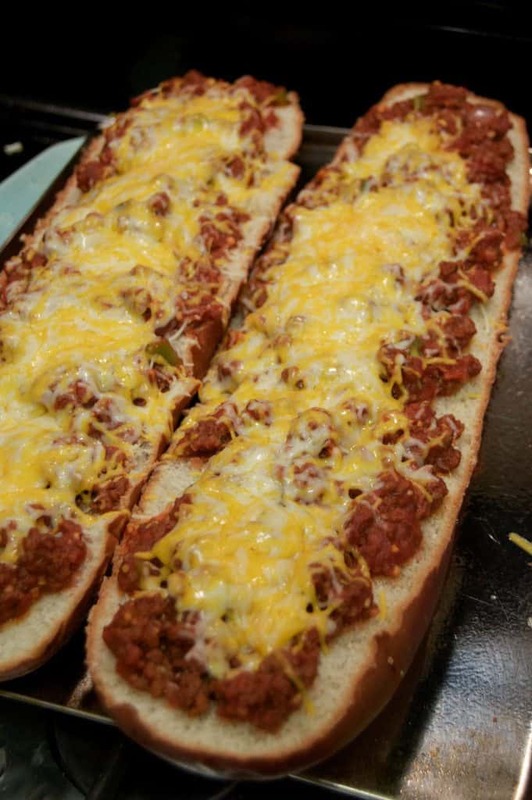 We have also tried Sloppy Joe French bread pizza and BBQ chicken French bread pizza. It only needs to cook for about 10 minutes just until the cheese is melted. I topped mine with fresh tomatoes and cilantro. Slice it up and serve! I’m sure your family will LOVE this recipe! 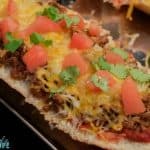 I also wanted to share with y’all even more great dinner recipes for the family. Sign up below to get my FREE E-book! 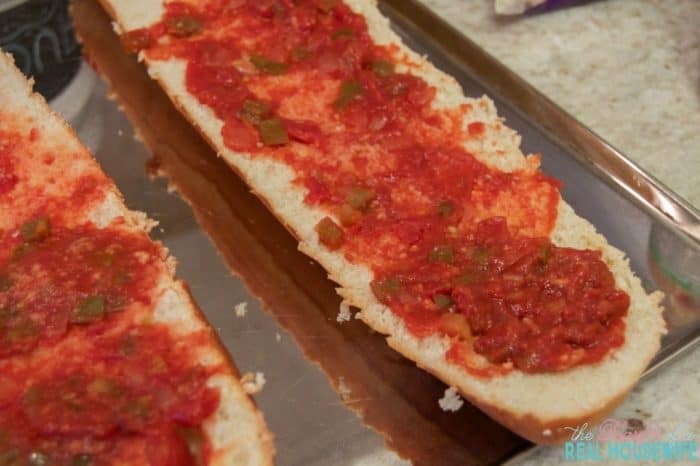 Slice french bread in half long way and place on a baking sheet. Cook ground beef and season with taco seasonings and set aside. 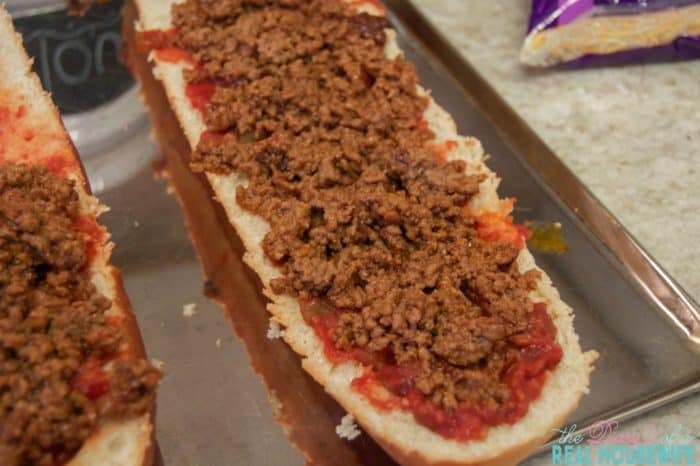 Top french bread with salsa, ground beef, and shredded cheese. Bake for 10 minutes or until the cheese has melted. Top with tomatoes and cilantro. Cut and serve! Visit The Diary of a Real Housewife’s profile on Pinterest.